Katie – Page 2 – It's Time to Read! This is one of my favourite types of books, by one of my favourite authors. 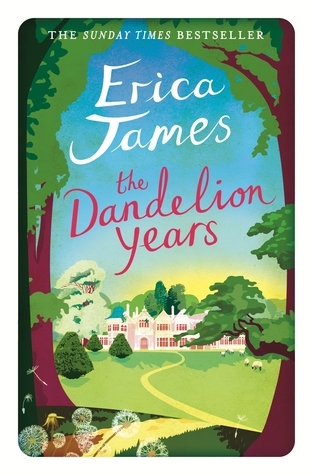 I really enjoy Erica James novels, and this one was set in both the present day and during WW2. I love books with a dual timeline! This story was interesting, gripping and touching – plus it was set in Bletchley Park, which I found really exciting. My review is HERE. 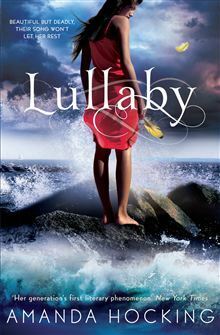 This is the first book in the Watersong series by Amanda Hocking. I really enjoyed her Trylle series, so had high hopes for this new book. This is young adult, fantasy literature, which I almost always enjoy. This book is darker than Hocking’s Trylle series, and I didn’t enjoy it as much. That said, it wasn’t a boring or bad read – I read this book in two sittings! My review is HERE. 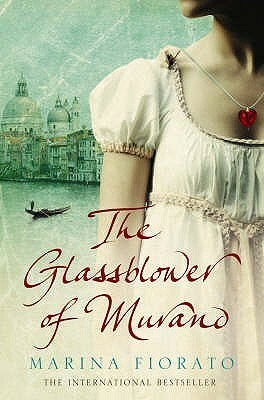 The Glassblower of Murano is one of those books which has been sitting on my bookcase for a few years, so I added it to my Goodreads Mount TBR Challenge, so I am pleased to report that I have now read it! This is another book which has a dual timeline; present day and the 1600s. I didn’t enjoy this novel as much as I thought I might. I didn’t find the storyline terribly exciting and I wasn’t overly keen on any of the characters. My review is HERE. 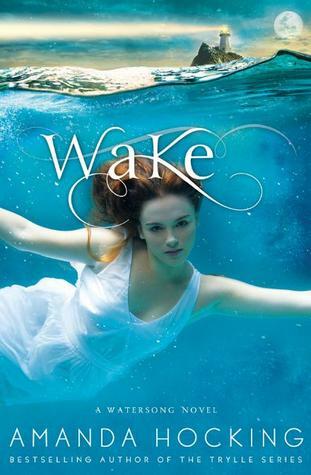 This is the second novel in the Watering series by Amanda Hocking. It continues the story of Gemma, and her entanglement with the sirens. Again, this instalment is darker than the first, but as this is a young adult book it doesn’t get too bad! I am enjoying this series. The storyline is gripping, I like the characters and the books are exciting. I have the last two novels to read, and I am looking forward to them. This is the second time I have read this book, and I have loved it each time. Beth Redman looks at our identity in God. 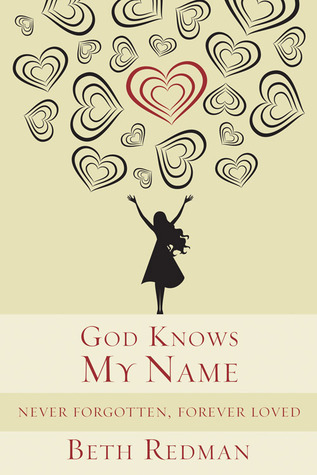 She talks about how God knows us, made us, and how we don’t have to feel shame or regret in His presence. This is a great read, full of truth and encouragement about who we are in God, and who God is to us. This is a must-read in my opinion. I’m sorry I have been quiet. Six weeks ago I gave birth to our second child (our first daughter, so exciting! ), so I haven’t had time to post on here. I doubt I will complete my TBR challenge, but I am on course to finish my Goodreads challenge. You can see what books I have read this year here. Hopefully as our little Bean grows, I will have more time to post on here. A practical guide to parenting that starts with the differences that the Gospel makes in the lives of those doing the parenting – most Christian books ignore this aspect. I decided to read this book as a group of Mum’s from my local church were reading through it together, and in the hope I might make it to one of the mornings, I decided to read along with them. Sadly, I didn’t make it as I was working each week but I still read the book. It is a hard book to review as I haven’t read many parenting books and everyone has different theology, but I will have a go! This review is more personal than for other books because it addresses my love for God, my theology and decisions on parenting we have made in our marriage. 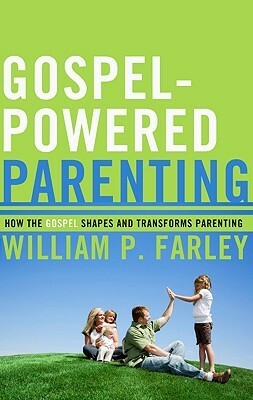 This book is advertised as a practical way of parenting whilst focusing on the Gospel. The first few chapters were full of the good news of Jesus, and it was an encouraging read. But then Farley started to get “practical” and I discovered I disagreed with most of what he said. I disagreed with his parenting style and his theology. Oddly, I seemed to agree with his opening paragraph of each chapter e.g. that the husband is head of the home (he will be the one who will stand before God and give answers about our family and our decisions) but I didn’t agree that wives are secondary when it comes to parenting. I don’t want to get into a theological debate, but God created man and woman differently, with different roles, but one is not more important than the other. I disagreed with a lot of this theology e.g. “Father’s do not provoke your child to anger” – I don’t think this is meant just for Dad’s, but he said it was. In fact, he believes all references to parenting in Scripture are just for fathers – this surely isn’t right. And I also disagreed with how he disciplines. We don’t smack our children in our house, and I don’t think that should be the first go-to when disciplining children. I found this book hard to read – he seemed to be saying that the most important person in the house is the man, that women are secondary but shouldn’t work as that will damage their children and that we need to break our children’s self-will, even though he said that is a gift from God. I left most chapters confused by his thoughts, and then strongly disagreeing with them! Interestingly, speaking to a few friends who have read this book, they also have disagreed with a lot of what Farley says. I found the writing style hard to follow at times too. He was wordy, and not always clear. Another problem I had, was it felt like a large chunk of the book were statistics or quotes from other parenting books. It didn’t seem like a lot of what he said was based on the Bible. From this book, I am grateful for the reminder that the Gospel is the centre of everything, and how we parent should reflect that. I want to teach my children about Jesus, and I want to love them and serve them well. This book has helped me to think about parenting, my beliefs and sparked conversations between me and my husband about parenting, which can only be a good thing (even if I did disagree with this book!). I don’t think I would recommend this book, but I am thankful for the way it has helped me consider parenting and how we raise our children. I am rating this book 2 out of 5. Maycomb, Alabama. Twenty-six-year-old Jean Louise Finch–“Scout”–returns home from New York City to visit her aging father, Atticus. Set against the backdrop of the civil rights tensions and political turmoil that were transforming the South, Jean Louise’s homecoming turns bittersweet when she learns disturbing truths about her close-knit family, the town and the people dearest to her. Memories from her childhood flood back, and her values and assumptions are thrown into doubt. 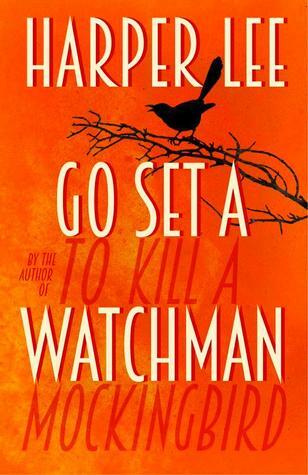 Featuring many of the iconic characters from To Kill a Mockingbird, Go Set a Watchman perfectly captures a young woman, and a world, in a painful yet necessary transition out of the illusions of the past–a journey that can be guided only by one’s conscience. This is the much anticipated sequel by Harper Lee, to my favourite book: To Kill A Mockingbird. What a book to follow – a classic, a much loved book, a book studied in schools and so on…so does Go Set A Watchman match up? 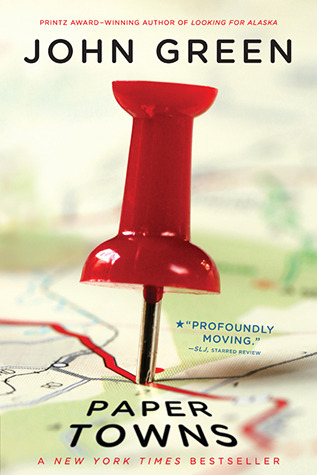 This novel follows Jean Louise – Scout – who returns home for a short visit from New York. The North is very different to the South – and attitudes of the South, even those of her family, come as a big shock to Jean Louise. 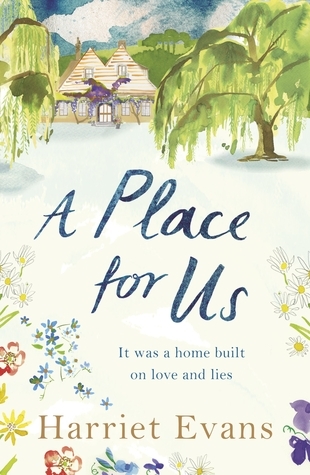 This book explores racial tension, the North/South divide and family relationships. I hate to type this, but…I didn’t enjoy this book nearly as much as I hoped I would. For me, this novel does not match up to To Kill A Mockingbird. I found it really lacked a story, plus key characters. There was no Boo Radley – he wasn’t even mentioned. Jem has died, so only appears in Jean Louise’s memories and Calpurnia is also just a memory. I found it hard to adjust to Scout being Jean Louise, a woman not the tom boy we all loved. I found her Aunt really irritating too! Atticus doesn’t actually feature much in this story – although a lot of Jean Louise’s self-discovery revolves around him, he is fairly absent in the story. I was surprised that the wisdom Jean Louise eventually sought was from her Uncle Jack, not Atticus. As for the story, or lack of, I found this read more like an essay in racial tensions than a story. The book was wordy and I found a lot of it just wasn’t interesting. I also didn’t follow all of what Lee was saying. As I reflect on this novel, I find myself wondering what the point of the book was. Nothing was really concluded in the end. I found the trips down memeory lane enjoyable, but quite random and they didn’t add much to storyline. I am rating this book 3 out of 5, firstly because I did finish this book. Secondly, there were parts of it I enjoyed. As I have said, I liked the memories, which meant Jem could re-enter the story. I also like the banter between Jean Louise and Hank. But it wasn’t an easy read, and some of it was really dull. This book isn’t as good as To Kill A Mockingbird, which is a novel I just love. I have come away from this book disappointed. but was a prize to be won? 57142 has only ever known the reality of Outside, the place where he has to glean a lonely existence from the discarded rubbish of Tropolis. Everything changes when he receives the crimson Post. It invites him to the competition that is the Compassion Prize offering wealth, happiness and a place in Tropolis if he succeeds. How could he refuse to enter? This is the third novel by Katy Hollway, and is completely different from her other two books, which are part of the Remnant Chronicles. This novel is not part of this series, it seems to be the beginning of a new series of young adult books. That said, this novel does take a different look at this type of society. Hollway starts to unpack the idea that compassion and charity can be outlawed, and the effect this has on live. There are no friendship, no trust and no communities. 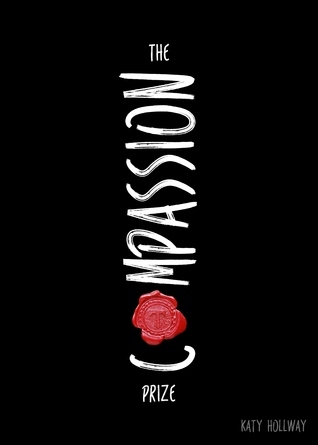 It is a stark look at how important compassion is. How do you survive in a world like this? Is it possible to build friendships and escape this sad existence? Is being rich and fortunate enough to live in the city actually worth it? I really liked this different take on the dystopia novel. I found this book really drew me in. I was hooked right from the first page and would have easily read it in one sitting had I been able to! I really liked the characters. They displayed a whole range of emotions, and despite their faults and lack of understanding, I was drawn to them and wanted to see what would happen. I also liked that they weren’t all inward-looking. Some were gentle and caring, despite what life has thrown at them. They were realistic and likeable. I liked the storyline too. The tension built really well throughout the book. I found the novel easy to read and really easy to get drawn in to. Hollway creates a world and scenes that aren’t hard to imagine. There is drama, adventure, fear and a lovely study into friendship and trust. This storyline is so different from Hollway’s other novels, yet it was such a good read. Hollway is displaying that she has a wide range of writing talents, and a vivid imagination. This book draws you in – the more I read, the more I wanted to read and find out what happened. I am hoping this is the start of a new series by Hollway as this was a great read. I am rating this novel 4 out of 5 because I really enjoyed it. This is a great, dystopia novel. If you like novels by Suzanne Collins, Lauren Oliver and Veronica Roth than this book is for you! The first three chapters of this book are available to read to Katy Hollway’s blog. Still haunted by nightmares of her mother’s death, fifteen-year-old Sienna Jones reluctantly travels to Indonesia with her father’s relief team to help tsunami orphans with their post traumatic stress disorder-something Sienna knows a lot about. Since her mother’s plane went missing over the Indian Ocean three years before, Sienna doesn’t do anything if it involves the ocean or planes, so this trip is a big step forward. This novel has been sitting on my shelf for an age, so I decided to add it to my 2015 Mount TBR Challenge, so I am pleased to tick it off my list! 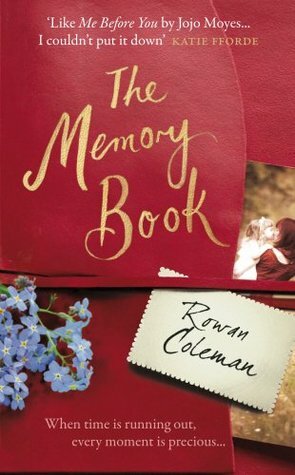 In this book we follow Sienna, a fifteen year old girl whose life dramatically changed when he mother was killed in a plane crash. No longer fearsome, she is not happy when her Dad asks her to go on a mission trip to Indonesia, to help at an orphanage for children who suffered in the tsunami. While there, she meets a boy called Deni, and surprises everyone when she falls for him. He shows her another side of Indonesia, and when there is a chance to find his father, they run away together. But the ending isn’t quite as Sienna hoped or imagined. 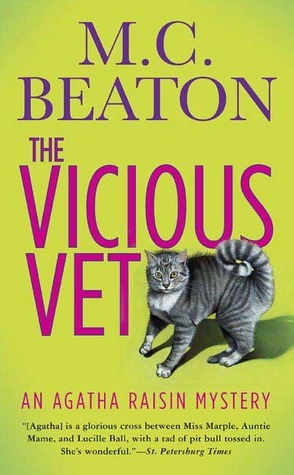 I remember being desperate to read this novel when it was released, so I’m not sure why I waited so long to read it. In fact, I left it so long that I had forgotten what the story was about, so I was fairly surprised when I read the synopsis – this book just wasn’t what I had thought it would be. I’m also sad to say, it didn’t live up to high expectations I had placed on it. Maybe the lesson here is don’t leave a book so long to read! So how come it didn’t live up to expectations? I think the main issue I had with the novel was I couldn’t relate to Sienna. Now I have never faced anything as awful as losing a parent or been a victim of something as horrendous as a tsunami, but I struggled to empathise with Sienna or Deni for that matter. Perhaps unfairly, I just found them to be moody teenagers – children who thought they knew best. There were some things they did which I also found very unrealistic – like running away together. They disappeared off more than once and weren’t caught. I find it hard to believe that a father takes his vulnerable fifteen year old daughter to the other side of the world, and then doesn’t know where she is. All that aside, the storyline was fascinating. Taking a close up look at the tsunami and the impact that had on the children was heartbreaking. I don’t know how realistic the orphanage was, but those children I could feel empathy for. They were lost and scared. The thunder storms brought back horrible memories and their living conditions were so poor. I guess this book was eye-opening into a culture I have never experienced, and it wasn’t easy to read about their new lives. It also wasn’t easy to read when Sienna and Deni return to his home and see the loss and devastation there. To be honest, it was hard to comprehend the pain. This was an interesting read – such pain mixed in with a teenage love story. For me, I didn’t need the love story. Sienna going to Indonesia would have been enough. Others will disagree with me and will have connected with her in a way I didn’t. I am rating this book 3 out of 5 because if you put the love story aside, I did enjoy this story. It was sad, yet eye opening, and heartbreaking. What I am left with is a sense of deep sadness for those children. I’m not much of a letter writer. As the sheriff here, I’m used to writing incident reports, not chatty letters. But my daughter, Megan–who’ll be making me a grandfather soon–told me I had to do this. So here goes. I’ll tell you straight out that I’d hoped to marry Faith Beckwith (my onetime high school girlfriend) but she ended the relationship last month, even though we’re both widowed and available. There were a few misunderstandings between us, some of them inadvertently caused by Megan. If you want to hear more, come on over to my place or to the sheriff’s office–if you can stand the stale coffee! 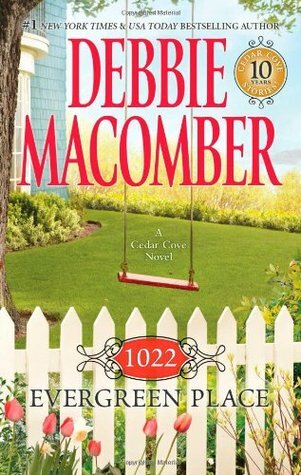 As ever, I enjoyed this Macomber novel. It is number 9 in the Cedar Cove series, and this time follows the story of the local sheriff, Troy Davis. I like how each novel has a different character as a focus, it gives us a chance to get to know them more. The storyline didn’t surprise me much – sometimes these novels are a bit predictable and unrealistic, but I never fail to enjoy them. This book is the same. It is easy to read, easy to enjoy, chick-lit. I have something to confide in you. I think my husband, Dave, might be having an affair. I found an earring in his pocket, and it’s not mine. I’m also worried because some jewelry was recently stolen from an old woman—and Dave used to visit her a lot. You see, he’s a pastor. And a good man. I can’t believe he’s guilty of anything, but why won’t he tell me where he’s been when he comes home so late? Reader, I’d love to hear what you think. I also want to tell you what’s going on with your other friends in Cedar Cove. Like Sheriff Troy Davis, to mention one. His long-ago love, Faith Beckwith, just moved here! So come on in and join me for a cup of tea. 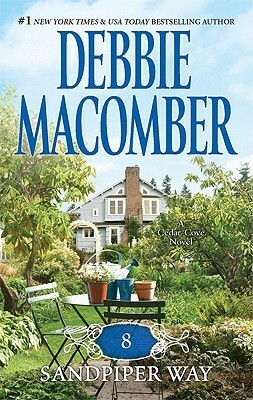 If you have been around this blog long, you will know I really enjoy Debbie Macomber novels. I had been focussing on reading her new series, Rose Harbour, when I realised I hadn’t finished Cedar Cove. 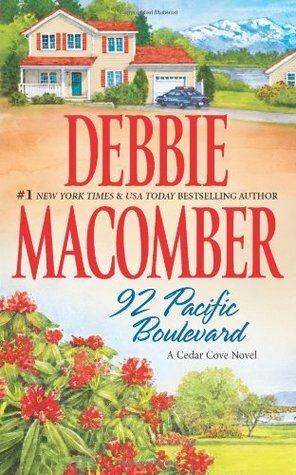 I’m really fortunate that my local library now has an e-book service, and the Cedar Cove series is part of it, so I have been using that to read this series. As ever, I enjoyed this novel. Each story focuses on a different member of the community, with some stories crossing over to the next novel. This time, we followed the story of Pastor Flemming – a man keeping a shameful secret; plus there is a mystery to solve – who stole the jewellery? This book didn’t take me long to read. I am always drawn into the novels and can read them for hours at a time. This for me is easy reading; guilt-free chick lit! Venice, 1681. Glassblowing is the lifeblood of the Republic, and Venetian mirrors are more precious than gold. Jealously guarded by the murderous Council of Ten, the glassblowers of Murano are virtually imprisoned on their island in the lagoon. But the greatest of the artists, Corradino Manin, sells his methods and his soul to the Sun King, Louis XIV of France, to protect his secret daughter. In the present day his descendant, Leonora Manin, leaves an unhappy life in London to begin a new one as a glassblower in Venice. As she finds new life and love in her adoptive city, her fate becomes inextricably linked with that of her ancestor and the treacherous secrets of his life begin to come to light. This is book number four off my Mount TBR List. This book has been sitting on my shelf for ages, and when I discovered by husband’s Nan used to be a glassblower, I was even more eager to read it. However, this book wasn’t really what I expected. The story is set in both the 1600s and the present day. Normally, I like novels which jump between time periods – novels written by the likes of Rachel Hore or Kate Morton. Yet, this story just didn’t grip me like the stories from those two authors do. The story follows the Manin family – Leonora in the present day and Corradino in the 1600s. Both are glassblowers, and both are very talented. Yet Corradino sells his secrets to France to save his daughter, and Leonora, running away from a disappointing life in London, seeks to find out about her family history and to clear Corradino’s name. As I write this, I find myself wondering what exactly about the book I didn’t really enjoy, and I’m not sure. I didn’t really like any of the characters, which isn’t always a problem for me if I find the story enjoyable. Yet I found the storyline a bit boring. There could have been more of a sense of danger in Corradino’s time, but there wasn’t. I knew The Ten were a force to not be messed with, but I didn’t feel fearful of them. As for Leonora, I found her a bit annoying. She seemed to be seeking validation – from her work, from her possible boyfriend and from her family legacy. I guess I didn’t really warm to her so her neediness annoyed me instead of making me root for her. I’m rating this book 3 out of 5, which is a sign I didn’t hate it! I have been fairly negative about this novel so far, but I read it to the end and I did want to know what happened to Corradino. 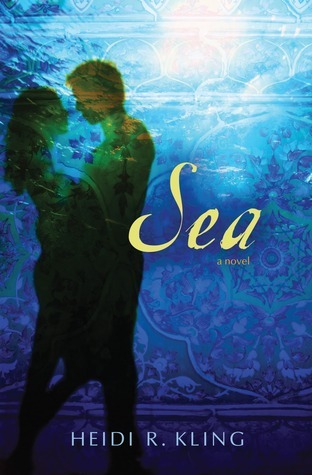 This novel is essentially a love story, which a historical mystery woven into it. This isn’t the worst book I have read this year. It didn’t take long to read, and I whatever I thought about the writing or the characters, I did want to know what was going to happen. This wasn’t what I expected, and it wasn’t as good as I had hoped it would be; however, it was an alright read.